The Positioning Balls: Two gold “positioning” balls are placed on top of the implants. 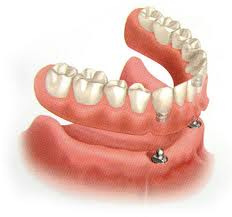 Then an impression is taken of your lower gums, including the implants, for fitting to a denture. The Receiver Caps: Two small rubber “caps” embedded in your lower denture connects the “ball” on your implants to the denture. This mechanism self-aligns, allowing you to “seat” your lower denture with ease. The Implant-Supported Denture: The set of teeth click into place on your lower jaw, with the receiver ball secured into the cap. The dentures then become the workhorses of your mouth, doing all the chewing (and smiling). Without lower teeth, your jaw experiences progressive bone loss, dramatically aging your profile. 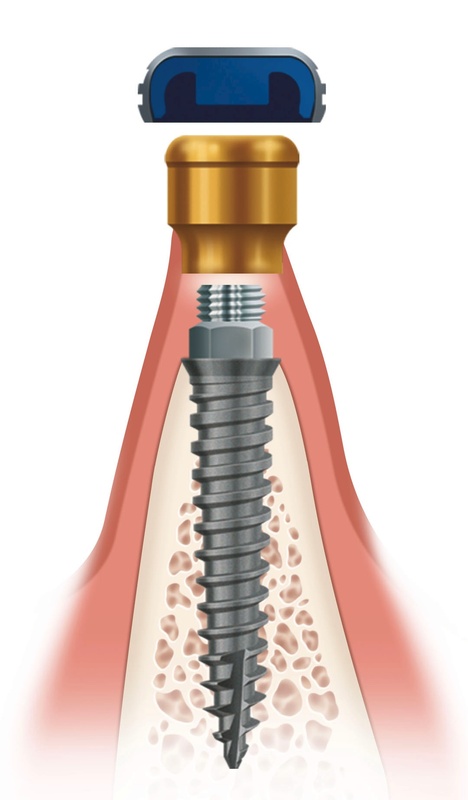 It’s very important to note that, in addition to the benefits of function and aesthetics, dental implants also act as a tooth root. This is critical to your appearance because without teeth – roots and all – your jaw will inevitably experience bone loss. Bone loss, in turn, leads to a “caved-in” or receding profile (see photo panel below). CAPTION: Schedule your complimentary consultation with Dr. Tidwell (with no obligation for services). Call or text us at 503-359-5481. P.S. 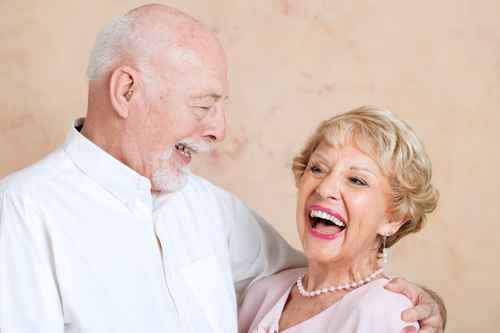 Shhh … here’s a special secret: With implant-supported dentures, you’ll be a better kisser. True. This entry was posted in Dental Implants, Dentures, Uncategorized. Bookmark the permalink.